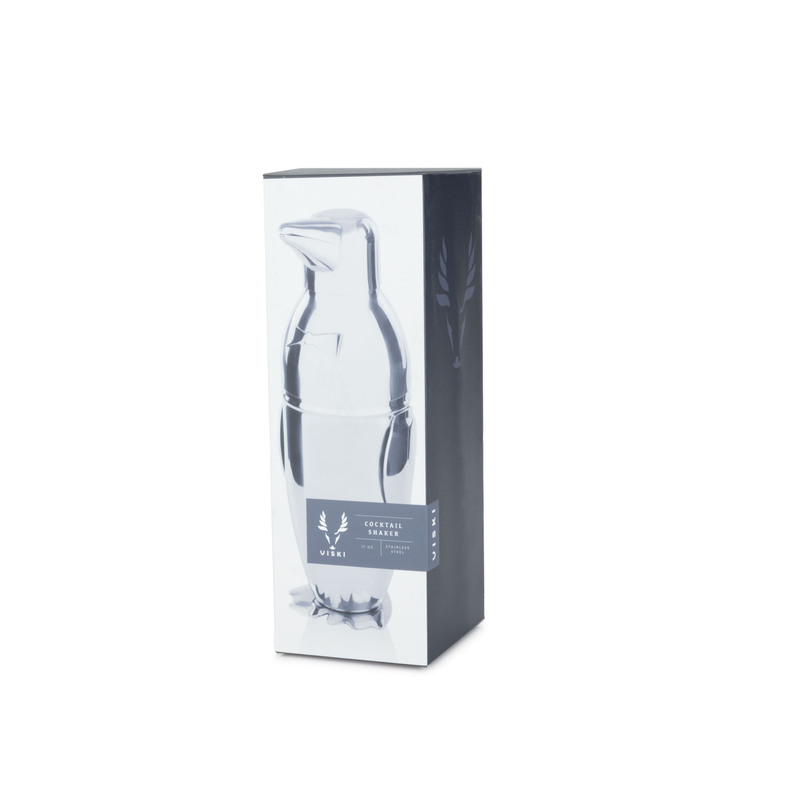 This cute bow-tied penguin cocktail shaker brings joy to any party! 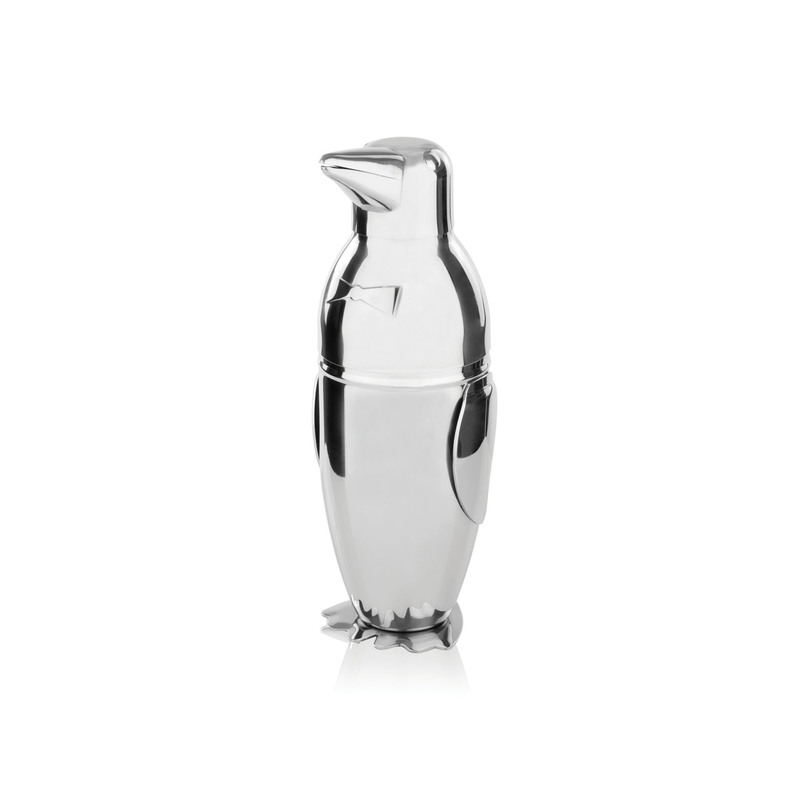 Made from high-polish stainless steel, this emperor penguin cocktail shaker is easy to use. 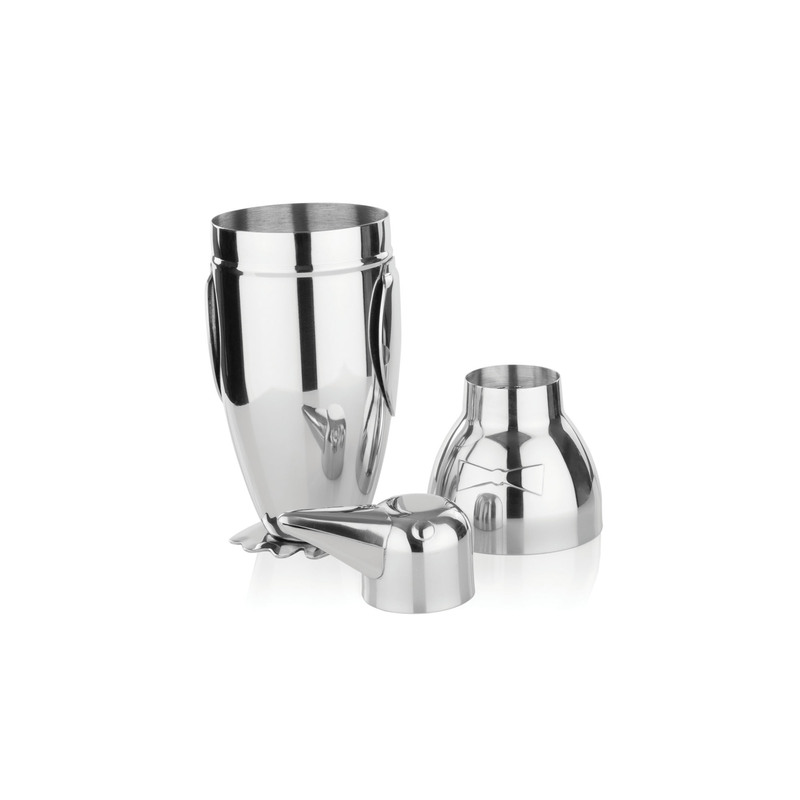 The vessel can hold up to 17 ounces with a built-in strainer to filter the ice from the fruit. This unique cocktail shaker would make an excellent bar tool for any occasion. Arrives in a presentable box.